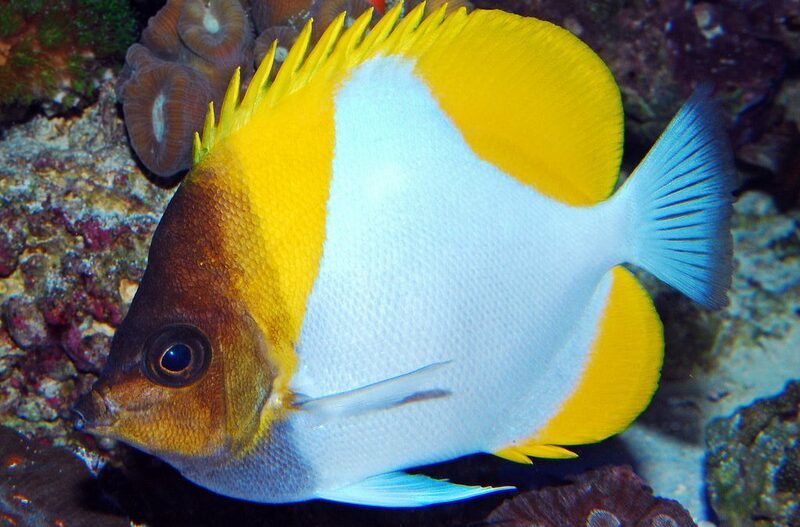 Most Butterfly Fish are not reef safe, but the Pyramid is an exception if properly cared for. This fish feeds upon plankton in the wild and does best in larger reef aquariums with well established live rock for hiding and grazing. Unlike many other Butterfly Fish, it is relatively hardy and makes a good choice for beginners. They may be kept singly, in pairs or in small numbers in larger tanks. This omnivore should be fed often with frozen and/or dried algae preparations as well as brine and Mysis shrimp. If underfed it may pick at some soft corals. 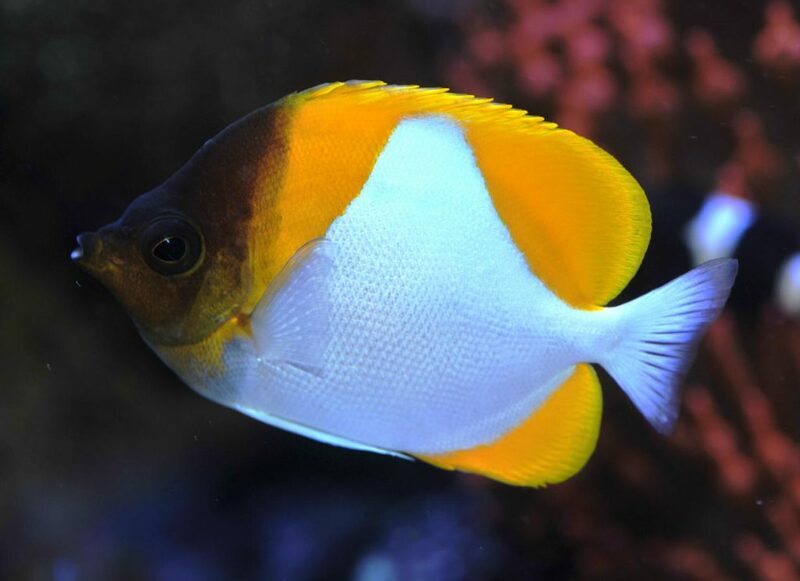 To see if our fish store has the Yellow Pyramid Butterflyfish in-stock or to order this saltwater fish for your reef tank then please contact or visit our pet shop in Tempe.